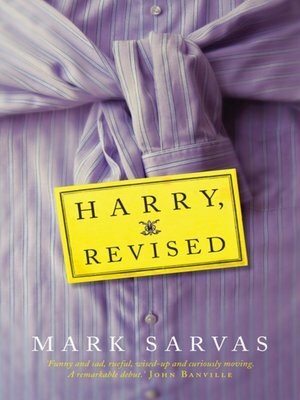 A cocktail of comedy and melancholy, Harry, Revised is the hilarious and tender story of Harry Rent, a guilt-ridden, down-on-his-luck middle-aged widower, who tries to reinvent himself following his wife's untimely death. His emotional journey takes him from solipsistic and outrageously misdirected fantasies about a twenty-two-year-old waitress at his local greasy spoon, to the tenuous beginnings of a personal transformation. At once deeply moving and darkly comedic, Harry, Revised is an extraordinary novel, by a wonderful, emerging talent, about the measure of a man's worth. Mark Sarvas is the founder of the popular literary blog, The Elegant Variation, which Forbes and the Guardian have named one of the best blogs on the web (marksarvas.blogs.com/elegvar/).